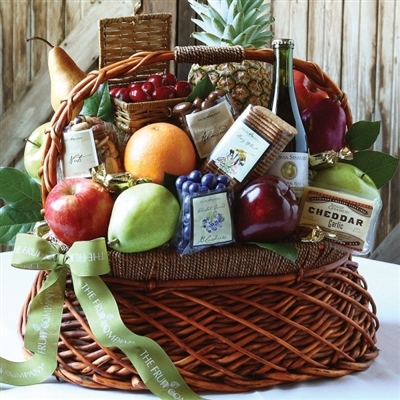 Special moments in life are meant to be savored, choose our best selling Harvest gift basket to celebrate those moments. It's a cornucopia of handpicked delights – gourmet fruit, complimented by sweet treats such as Kookaburra licorice, tangy fruit chews and jordan almonds, savory gourmet items complete with a cool, tingling apple cider. 1 Red Kookaburra Licorice - 4 oz. 1 Jordan Almonds - 4 oz. 1 Sparkling Apple Classic Sweet Cider - 12 oz.